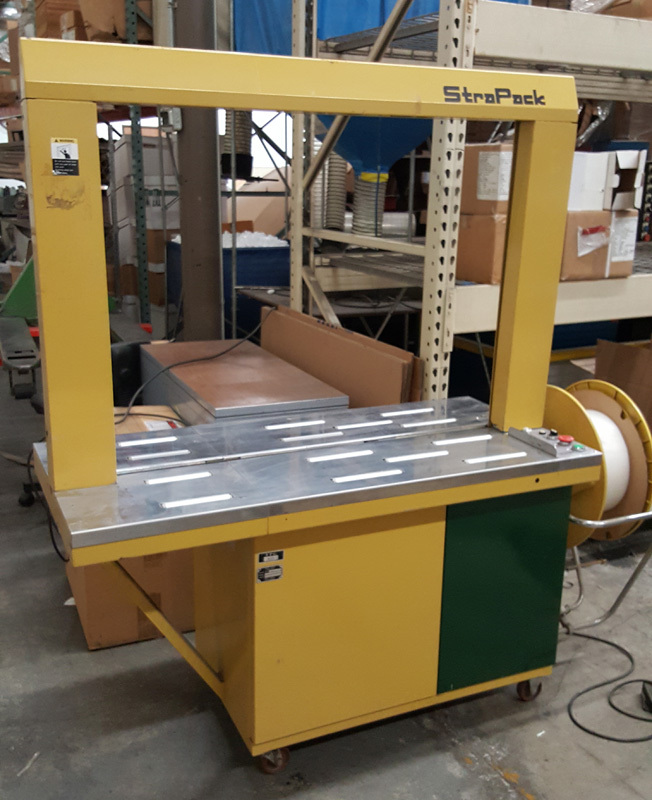 Used Strapping Machines- Strapack RQ-8 Arch Size 41" x 31"
This used RQ-8 has been refurbished by Packsource Systems factory-authorized Strapack technicians. The arch-size is 41" w x 31" h. Large arch size is ideal for doors, windows, artwork, wheels and any other large item. New Belts, Clutches, Brakes, Tension Wheel, Brake Belt, Power Cord, and Bearings. All hardware (Screws, Bolts, Nuts, etc) is here. Inside of machine was taken apart and cleaned piece by piece. 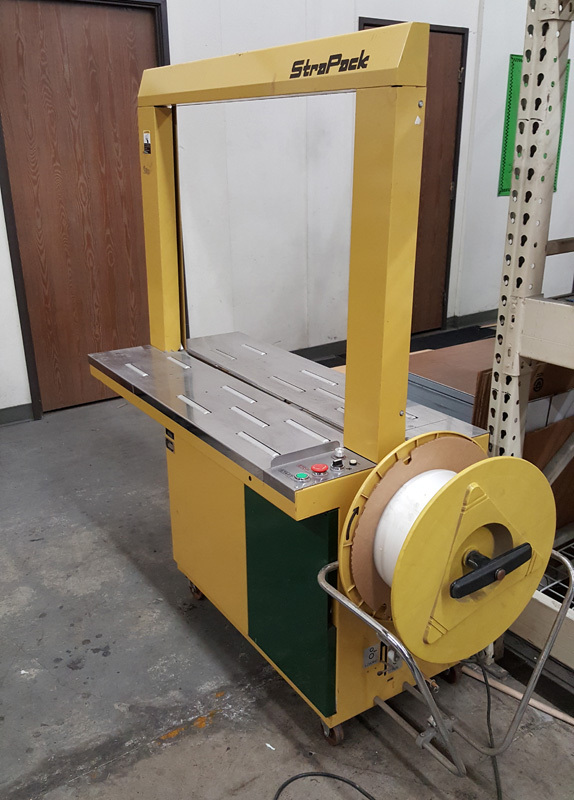 We have 14 hours into this machine, and it retails for $8,790.00. 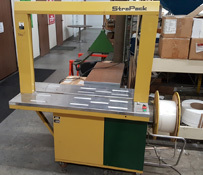 Click here for a link to the new machine. 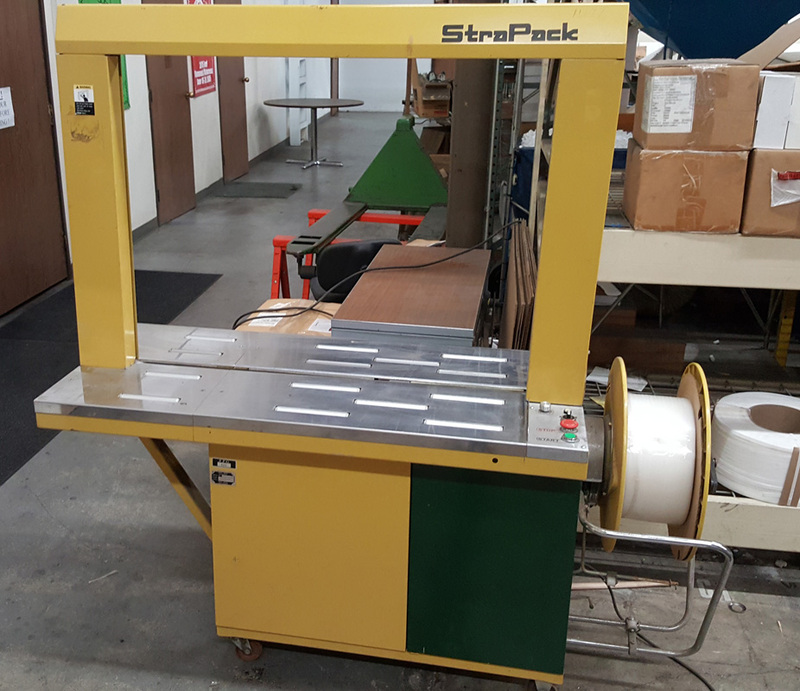 A 3-Month parts warranty is included with the machine. A 3-month labor warranty is also included, but is limited to Southern California customers. Returns accepted for 14 days after receipt of machine. Extremely nice machine. Southern California delivery is free. Shipping charges to other regions may be additional. Please call with your zip code for a free rate quote. Thank you for looking. Tension: Adjustable up to 176 lbsf.